For an elegant look this Autumn season choose this gorgeous jersey dress by Olsen. 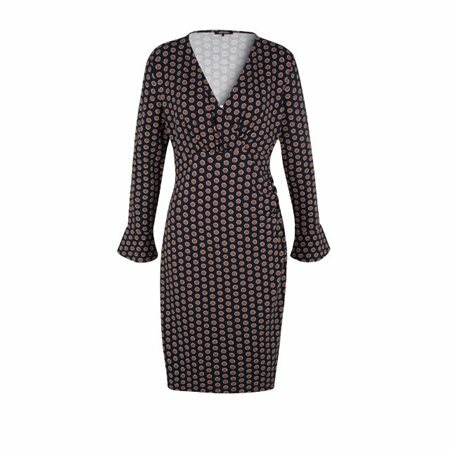 The pattern in rich navy and copper is lovely and the wrap effect finish gives this dress a feminine feel. The long sleeves finish with fluted cuffs, just lovely!